The 2014 Paris Motor Show has a lot of things to be excited about, one of which is the appearance of the new Honda Civic facelift. The Japanese automaker has unveiled two versions of its latest Civic model, the wagon and the hatchback versions. The Honda Civic facelift put on display is the model that features the Euro specification sheets, the Euro-spec model. The car comes with a new set of headlamps which now feature LED daytime running lights, which have literally become a standard for new cars. In addition to the new set of headlamps, the Euro-spec Honda Civic facelift also sports a new front bumper design, which makes the car look more aggressive when compared to its predecessor. Yet, for those who prefer the hatchback version over the wagon one, they will also receive a new rear bumper design, custom side skirts, LED taillights and also a stylish rear spoiler painted in black. 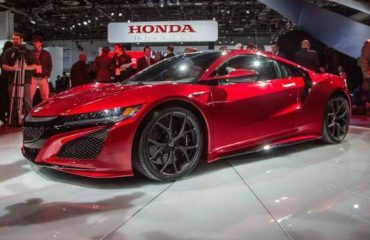 Yet, if those are not enough, the Japanese automaker is also offering metallic black accents on some parts of the vehicle, four 17” bespoke rims and chrome door handles. Well, enough with the exterior, it is time to talk about the interior that the new Civic facelift has to offer. Stepping into the cabin, one of the most major changes available is the infotainment system which now runs on the Android OS from Google. The on-board infotainment system comes with a 7” display with touchscreen capability and it supports things like internet browsing, rearview camera, Bluetooth, internet radio, DAB and satellite navigation – the latter is optional. The car also comes with refined upholstery. Under the hood, the new Honda Civic facelift offers customers with two options. The first option is a 1.6L turbocharged diesel engine with 120 hp whereas the second option is a 1.8L petrol engine with 142 hp. Last but not least, for safety reason, Honda has equipped its latest generation Civic with City-Brake Active system that uses radar to determine if a collision is imminent ahead. This system, however, won’t work if the car goes at a speed over 19 mph. 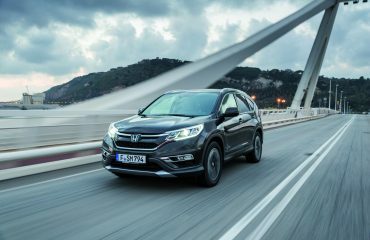 Honda Motor expands SUV production in the U.S.